Recreo San Miguel's summer styles are inspired by rich colors, textures and cultural values of Latin America. 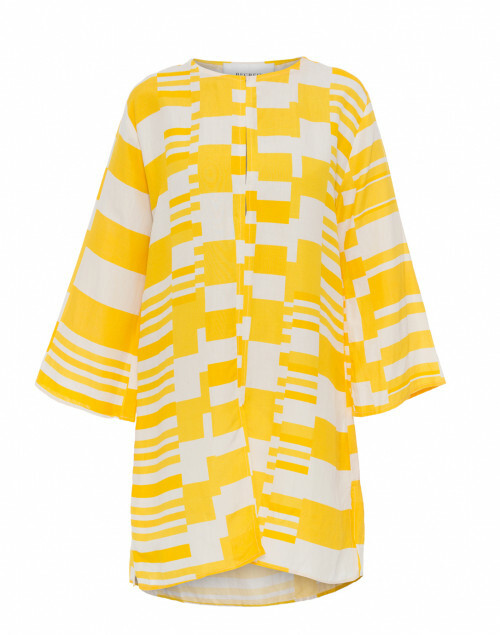 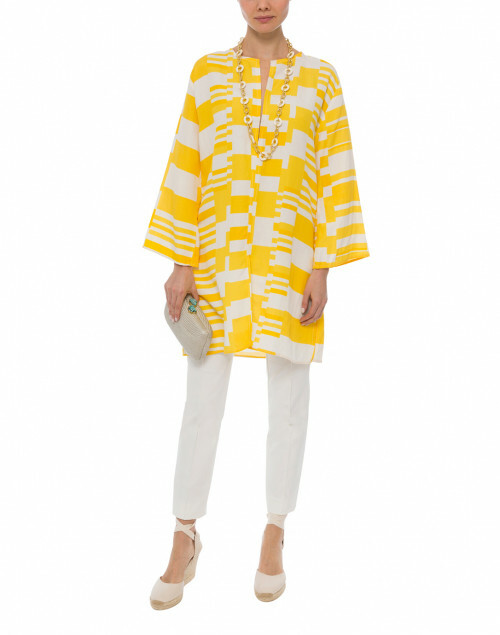 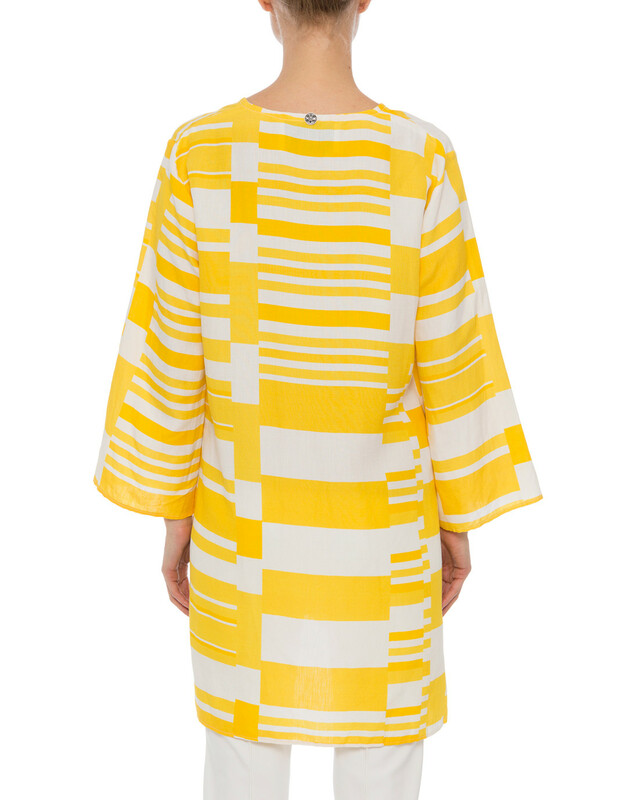 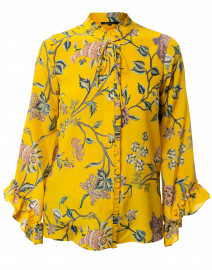 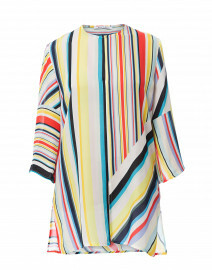 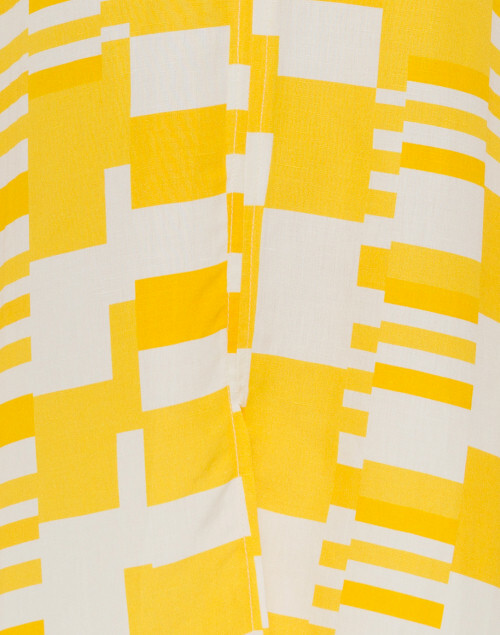 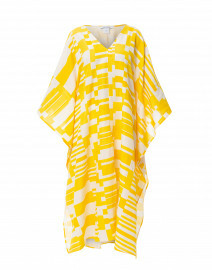 This yellow and white printed tunic is a perfect example. 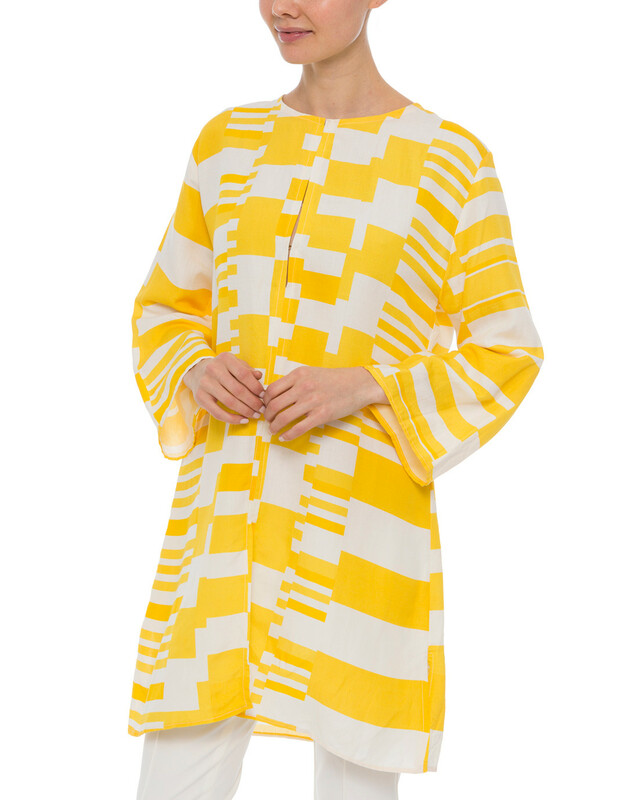 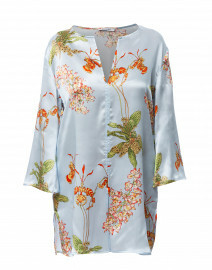 Crafted from silk-linen blend, this top has long sleeves, concealed hook fastening, front and side slits for a relaxed, breezy feel. 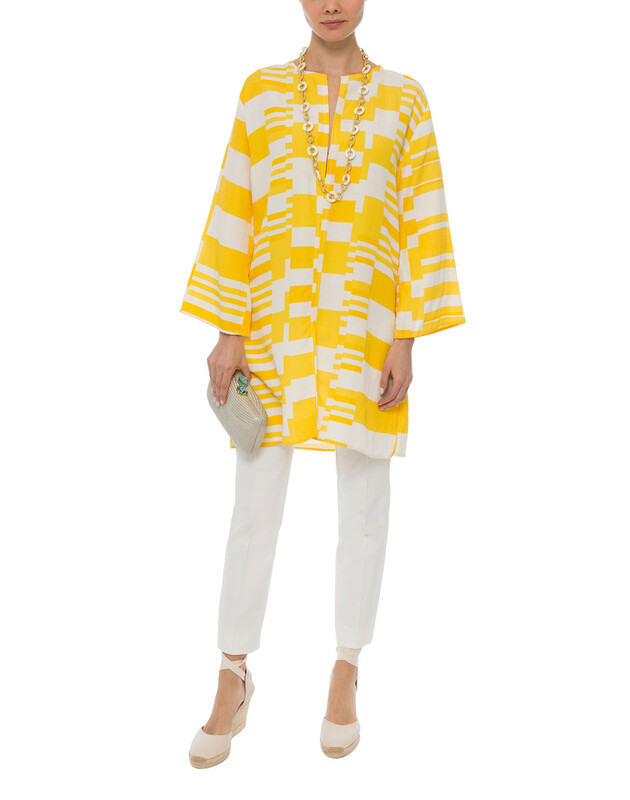 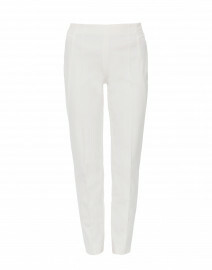 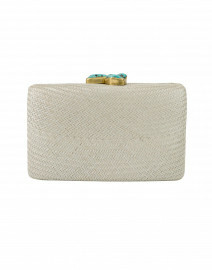 Style it with white pants and a long necklace for a demure summer look.